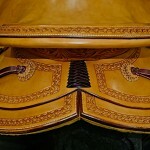 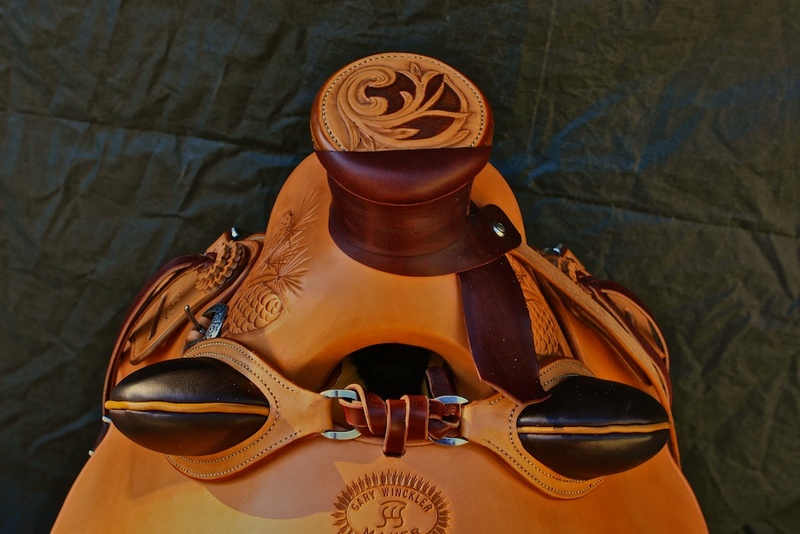 This Wade saddle was built for Shawn Palaniuk in Northern Idaho for his mules. 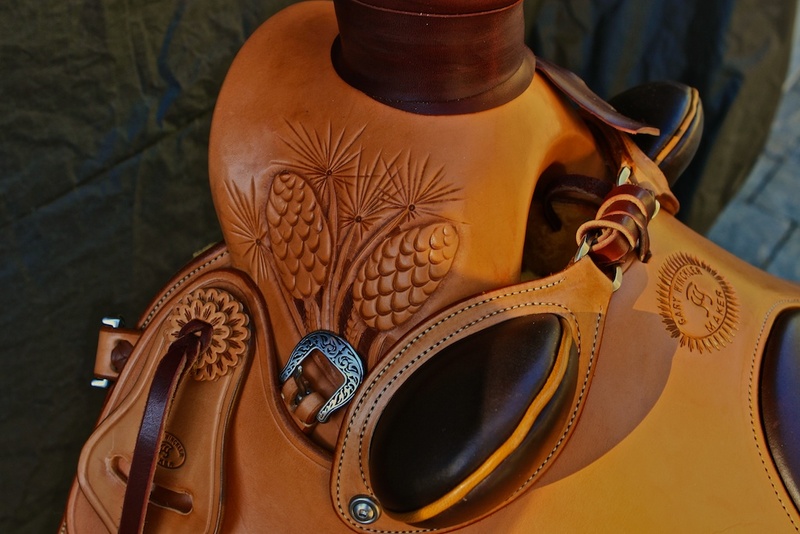 It features a Rod Nikkel tree with 4 1/2 x 11 cantle, 4″ wood post horn, and a 3″ silver cantle concho with copper inlay made by Shawn himself. 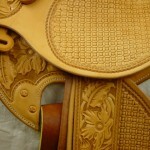 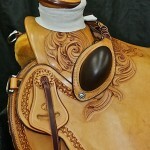 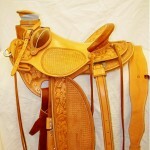 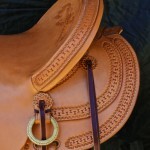 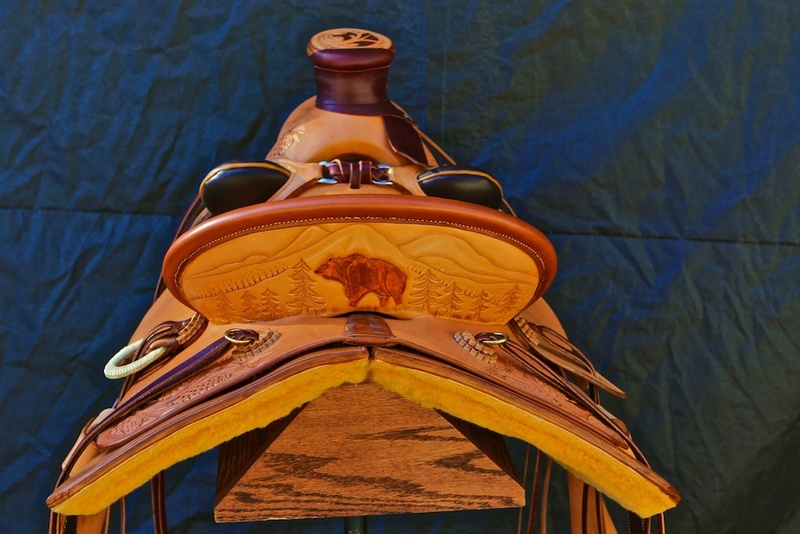 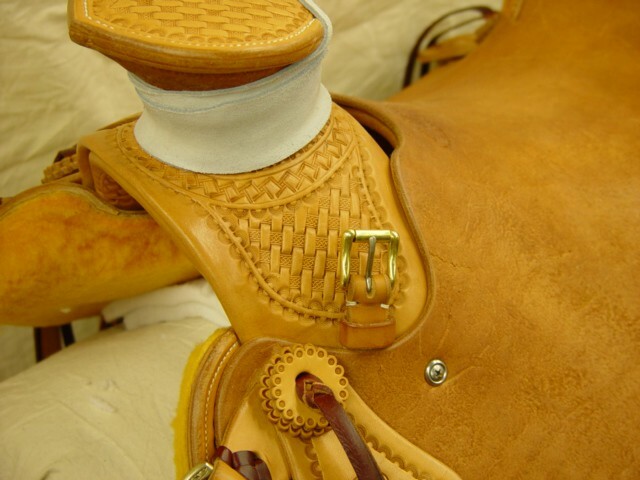 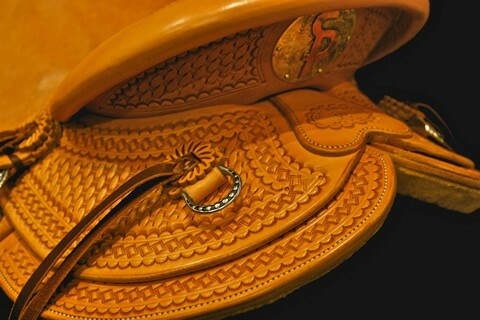 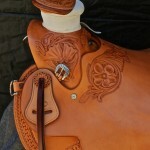 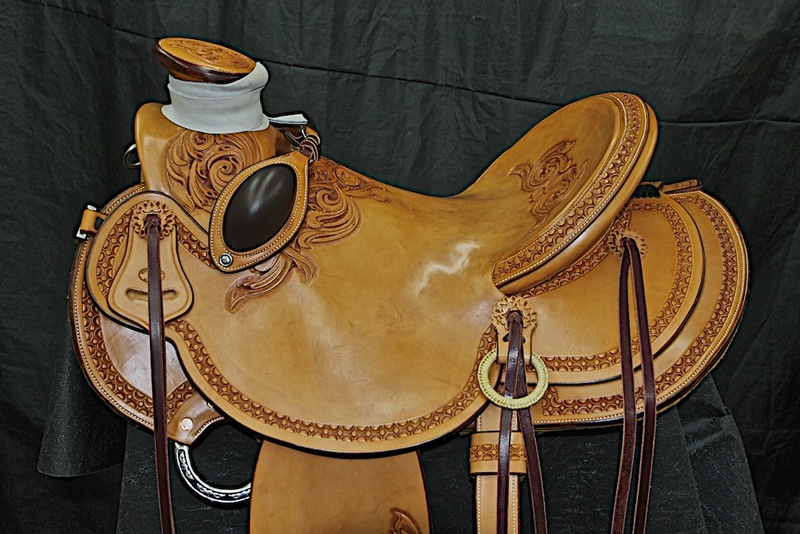 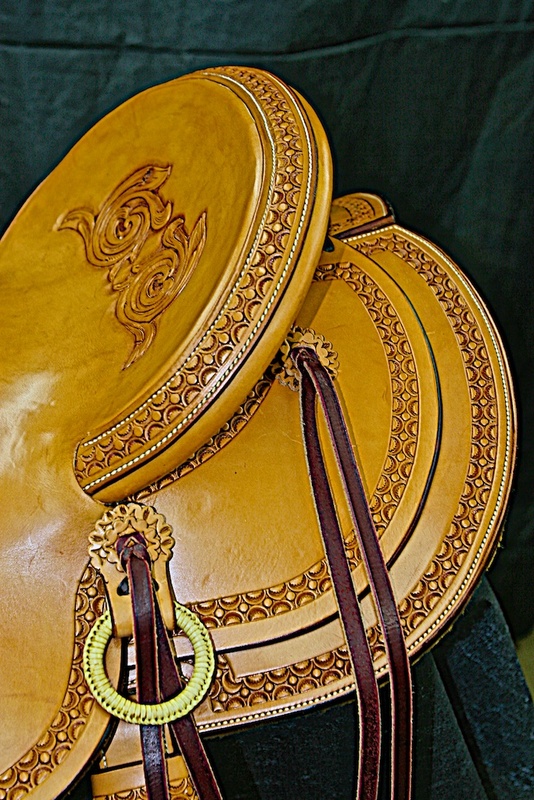 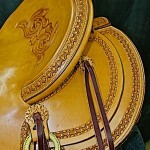 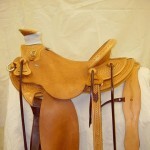 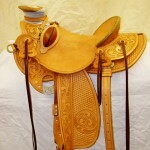 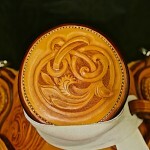 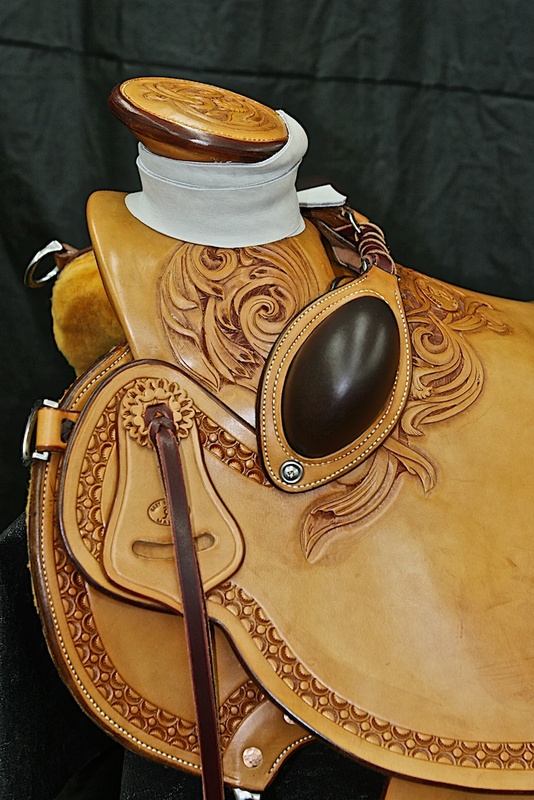 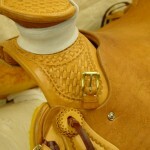 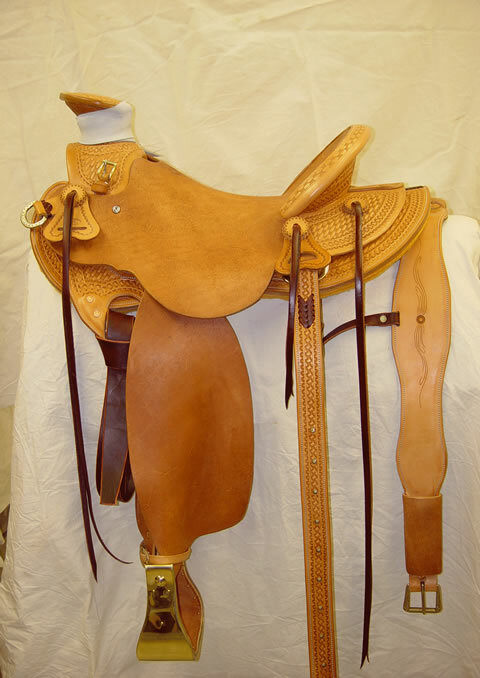 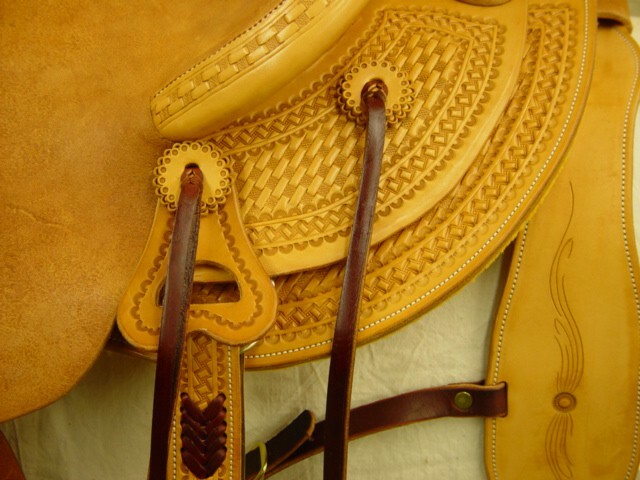 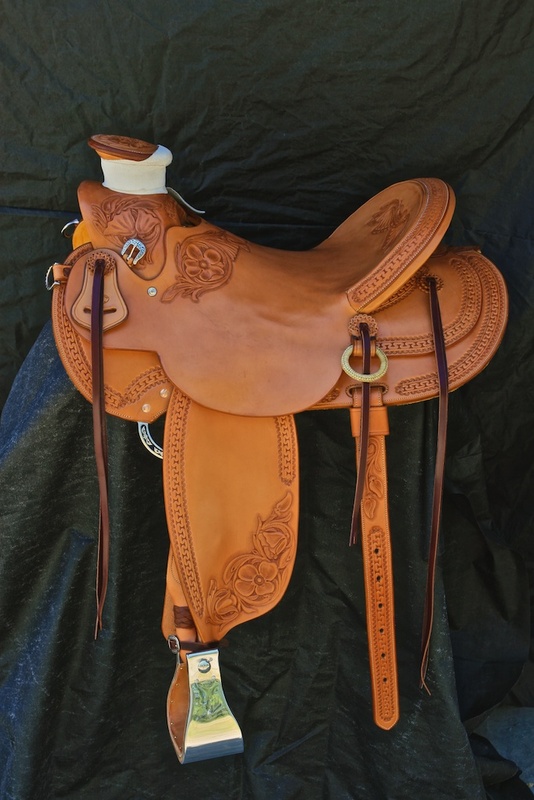 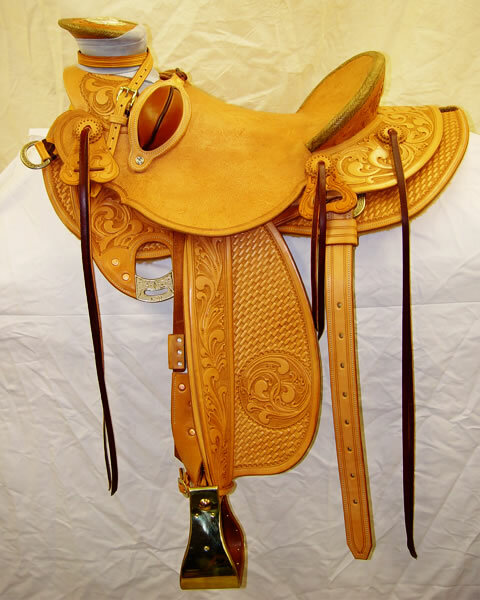 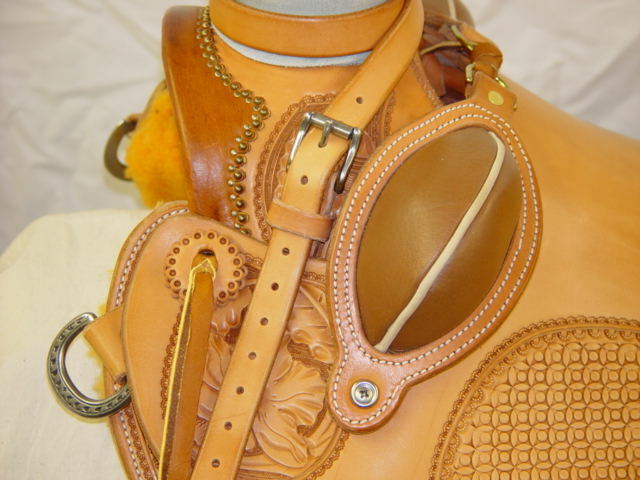 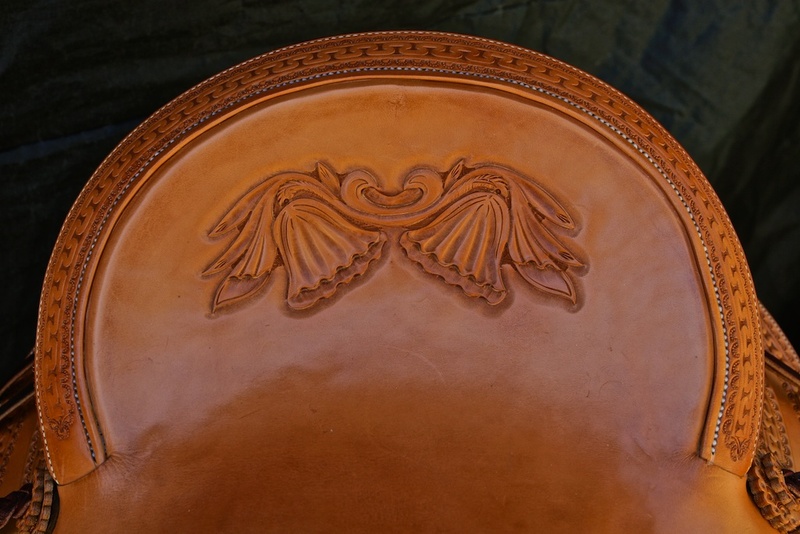 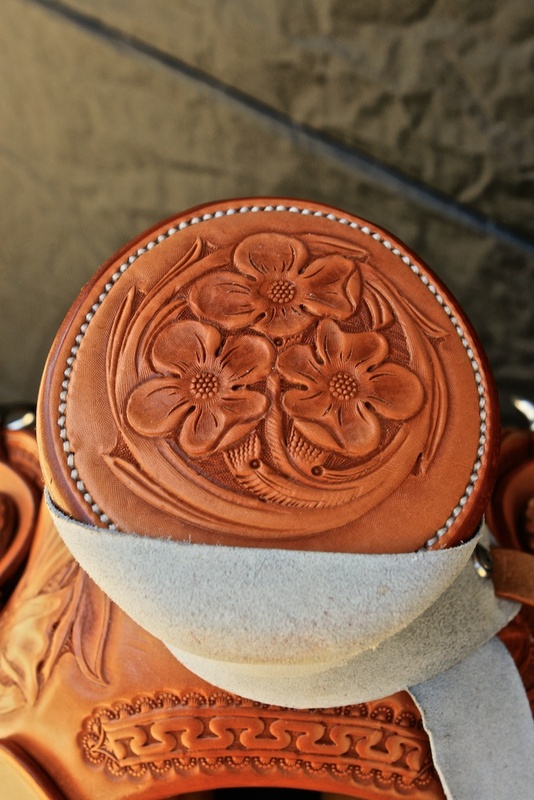 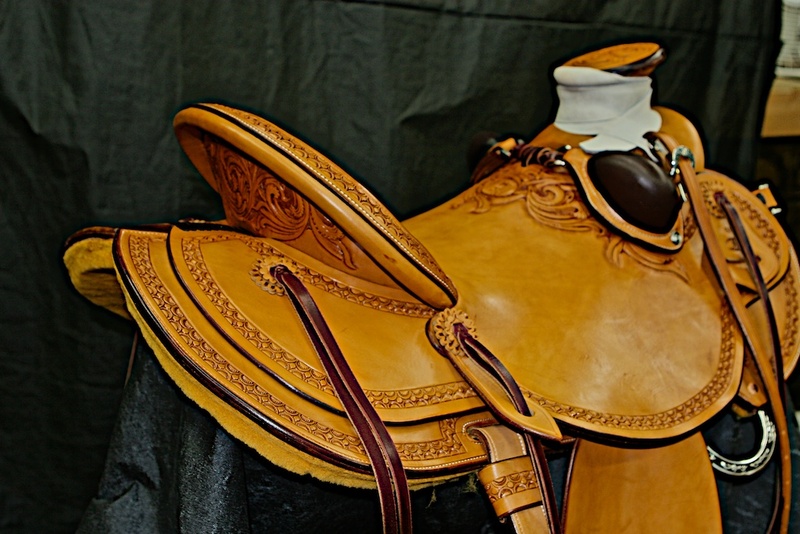 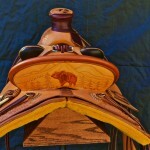 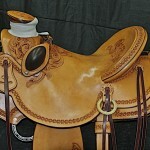 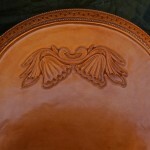 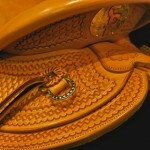 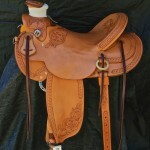 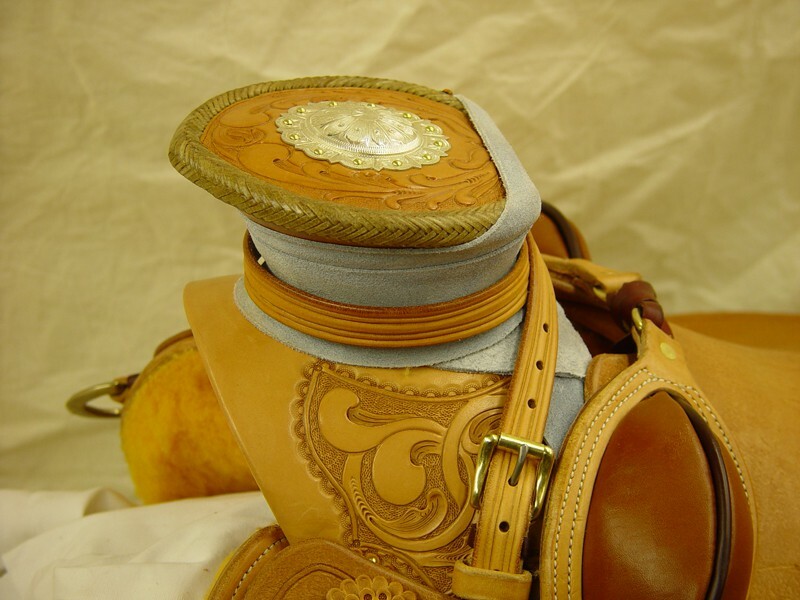 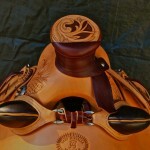 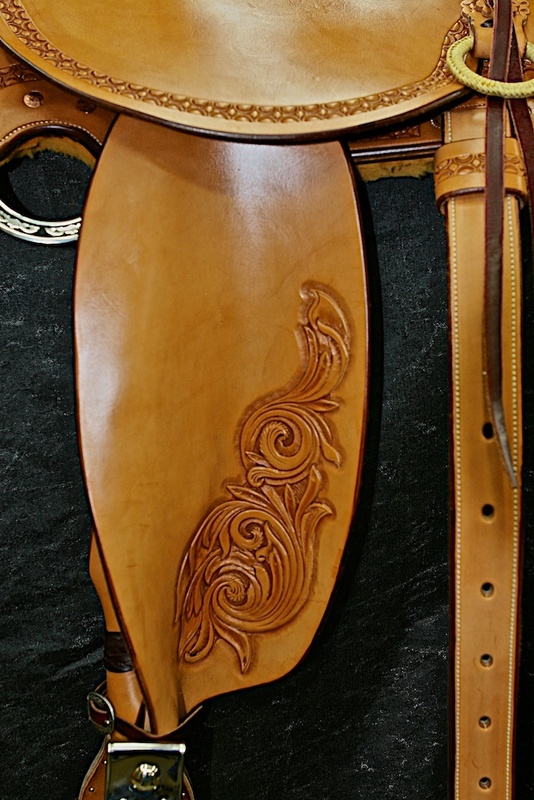 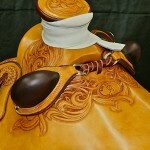 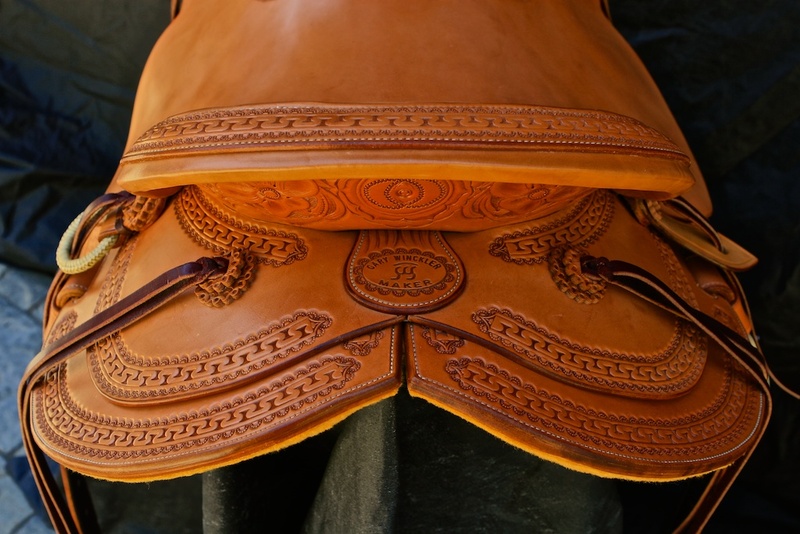 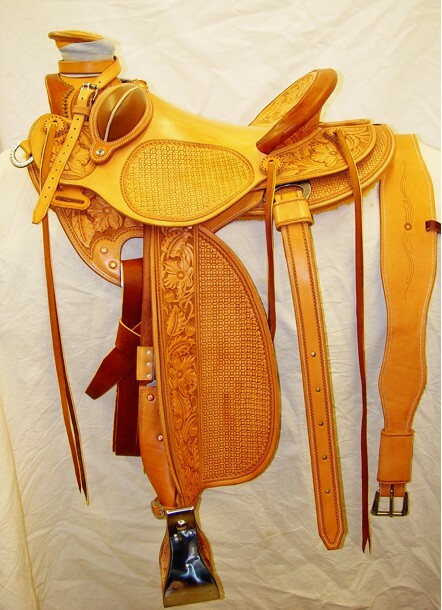 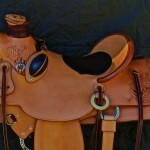 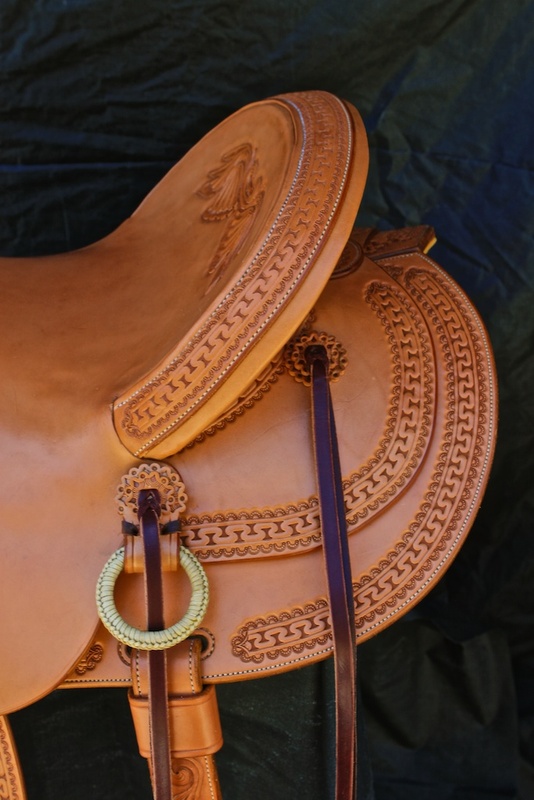 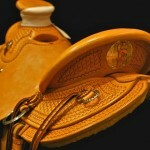 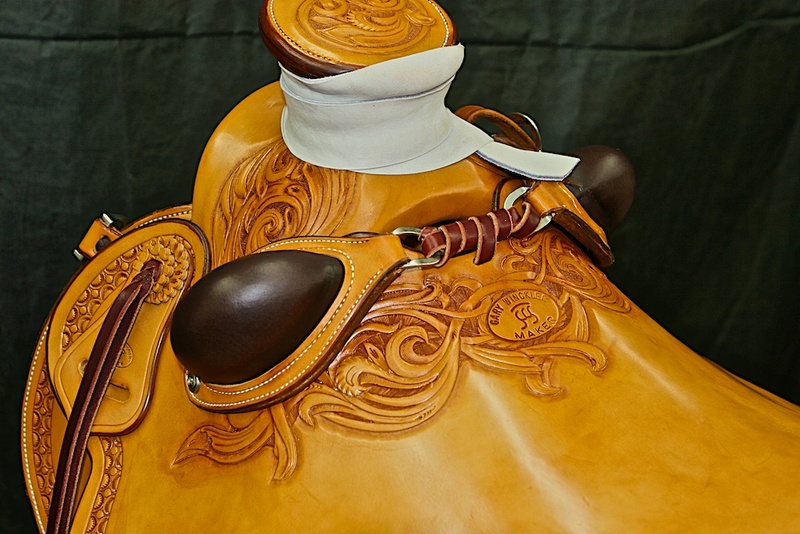 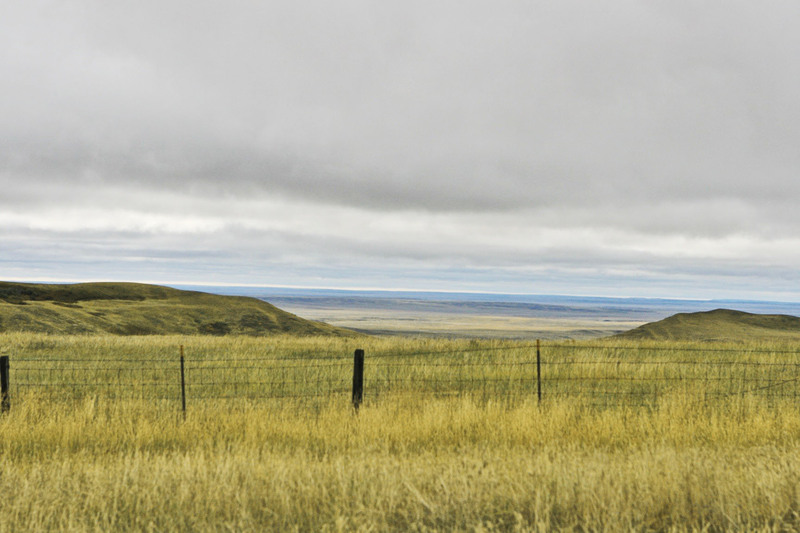 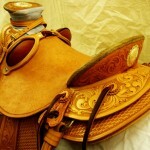 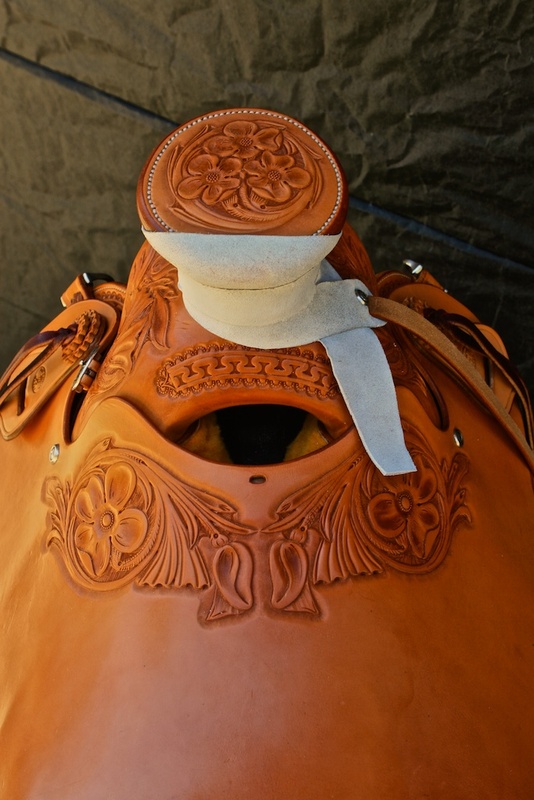 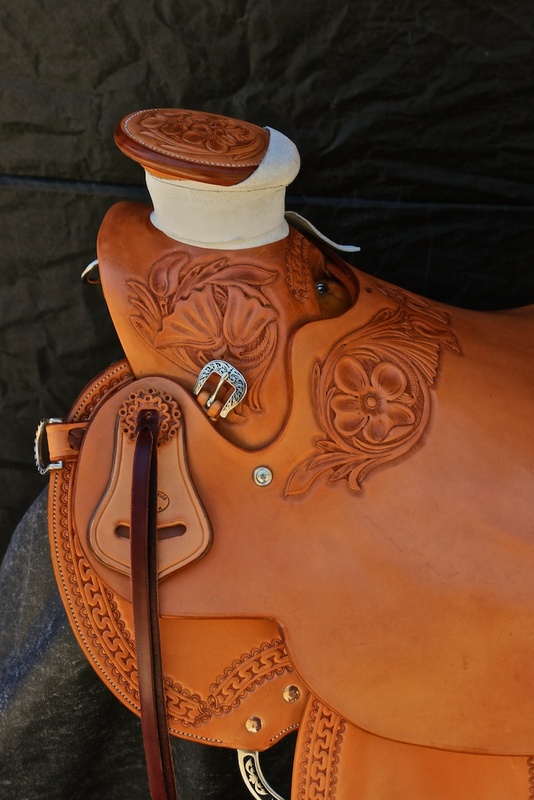 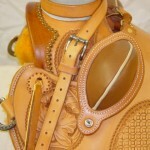 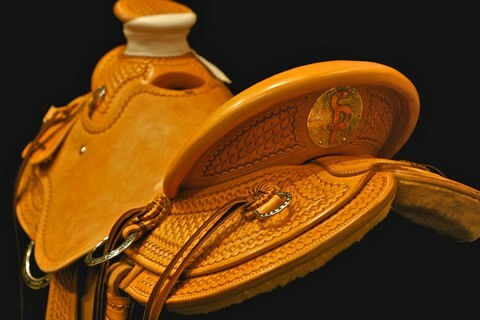 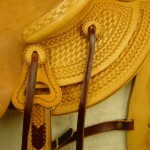 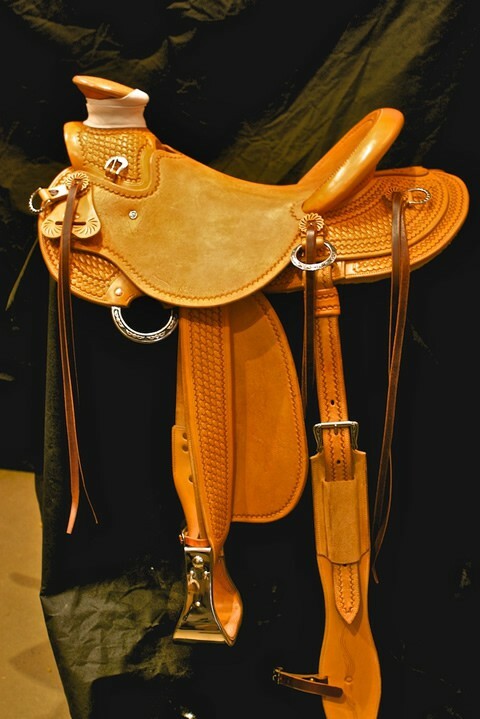 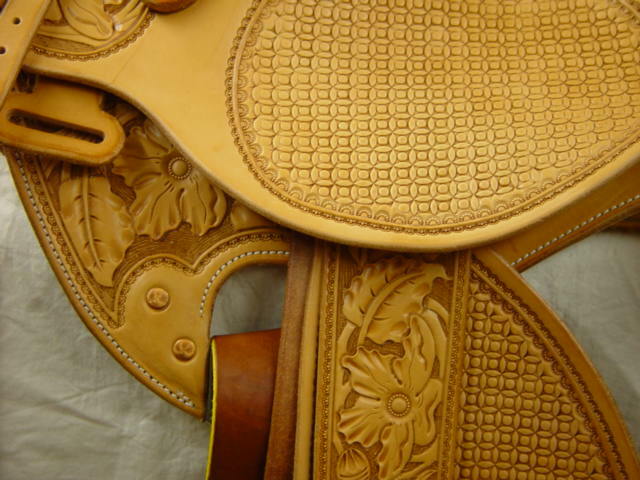 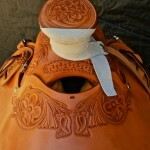 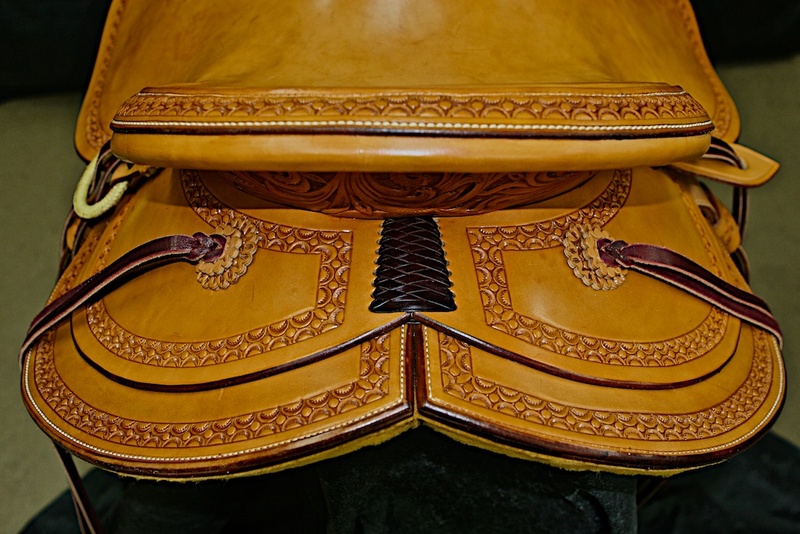 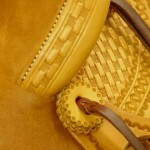 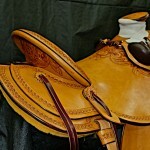 This Wade saddle was built for Patti Mason in Southern Oregon. 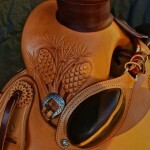 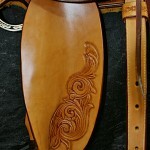 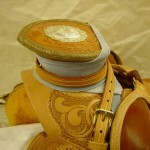 It features a Rod Nikkel tree with 4 1/2 x 12 cantle and a 4″ wood post horn. 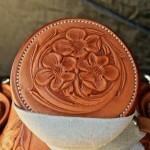 Patti is from California so wanted lots of California Poppies. 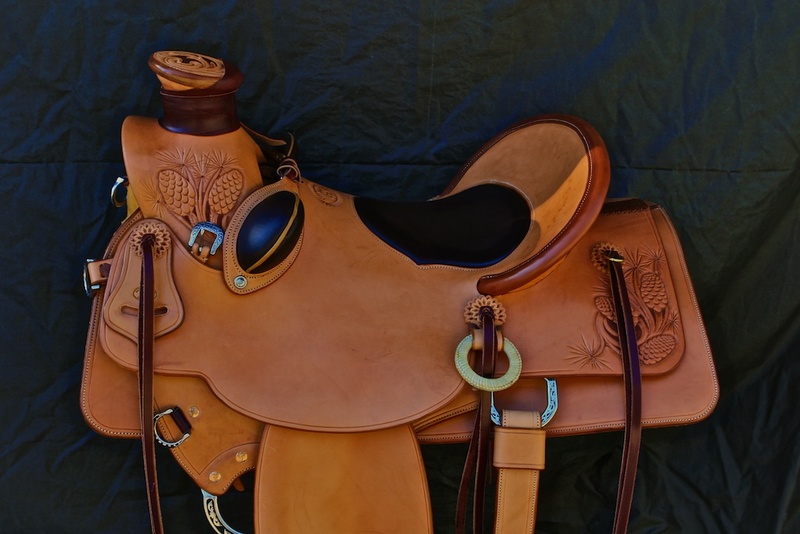 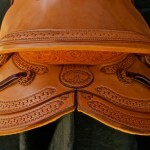 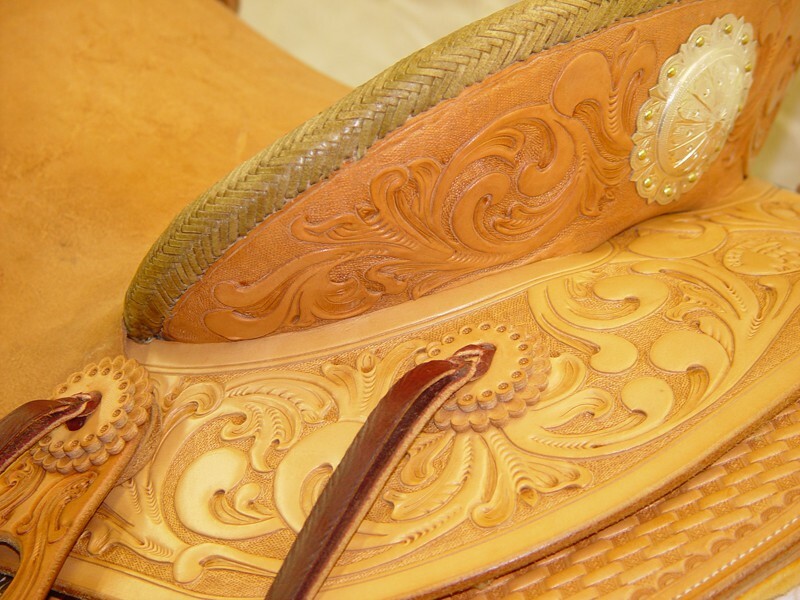 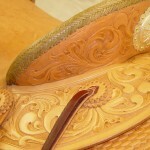 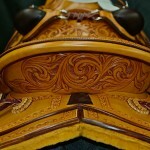 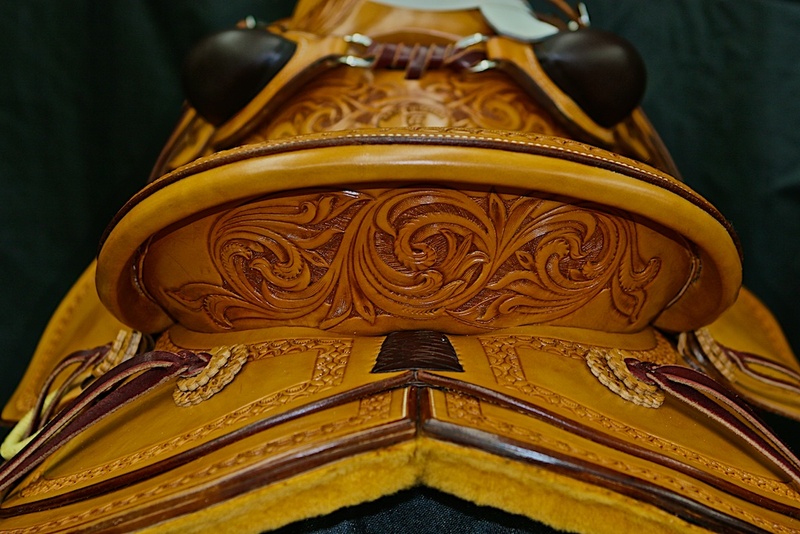 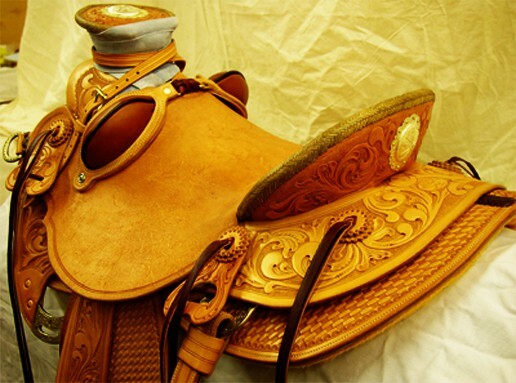 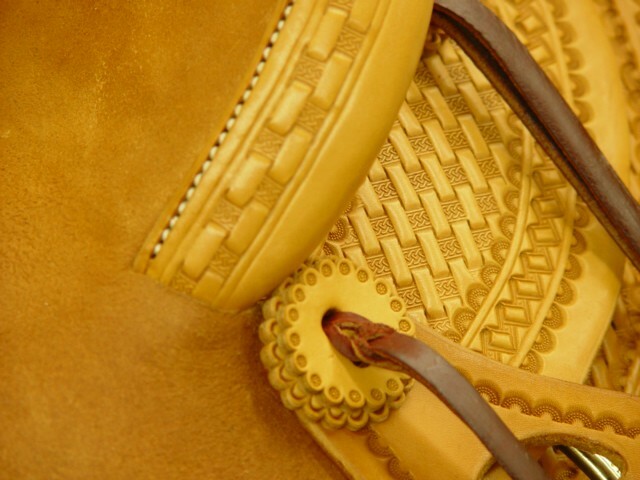 This Wade saddle was built for Patrick Armour from Las Vegas, NV. 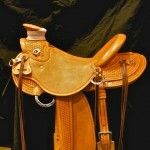 It features a Rod Nikkel tree with 4 x 13 cantle and a 3 1/4″ wood post horn. 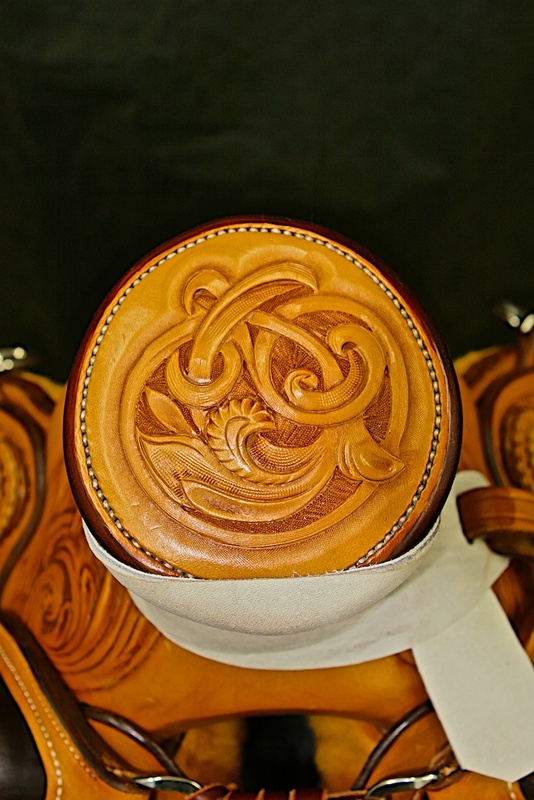 Patrick wanted something simple that shared his liking for the mountains and wildlife.